The area of Hungary is barely 100,000 km2. Our language is spoken nowhere else. Our folk songs bear no resemblance to those of other nations. Yet, the Hungarian people have been living in the centre of Europe for over 1,100 years. Despite frequent tragic upheavals which spared nothing and nobody, the country boasts a heritage that attracts people from far and wide. Citing the city’s unparalleled panorama, UNESCO declared Budapest, Hungary’s capital, ‘the Pearl of the Danube’, a World Heritage site. After Iceland, Hungary has the world’s largest reserve of surface thermal water: hundreds of springs help thousands in recovering. Lake Balaton, Central Europe’s largest lake, is a favourite get-away for families with young children, fans of yachting and lovers of the beach. 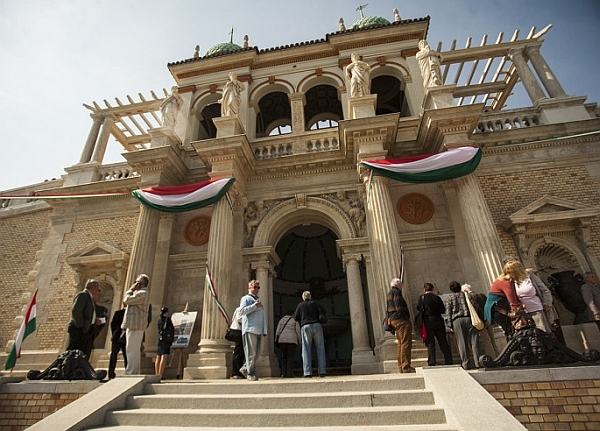 We have collected for you on this Budapest ravel Guide a variety of things that can be seen and enjoyed in Hungary. Have a delightful time travelling and exploring the country and many unforgettable experiences in the heart of Europe! Explored the Castle? Marvelled at the Parliament? Admired Heroes’ Square? If you’ve come to the point of feeling kind of been-there-done-that, our revamped sights-series will become your new best friend and travel companion. This Budapest Tourist Guide leads you to new and yet to-be-discovered parts of the city and our fine country, furthermore tells you all there is to know. Where to get your culture fix? Where to dance through the night? Where to dign out? Where to go on a trip? All your questions will be answered! The biggest development without a doubt has to be the completion of the fourth metro line. The construction had been mired in political and ancial scandals, re-planning, the constant pushing back of deadlines. On 28 March the whole city could finally try the new line, the modernity and beauty of which surpassed all expectations. The history of M4 goes back further than most people realise. The project was first raised back n the late 1970s, but the city only started seriously considering it in the 1990s and construction finally began in 2006. Eight years of construction in the life of Budapest, extensive building works on the surface affected everyone’s lives with busy squares disappearing disappearing behind fences for years. It was all worth it though, as two stations, Fővám tér and Szent Gellért tér won architecture awards in the best train and bus stations category at the prestigious A+ Awards. 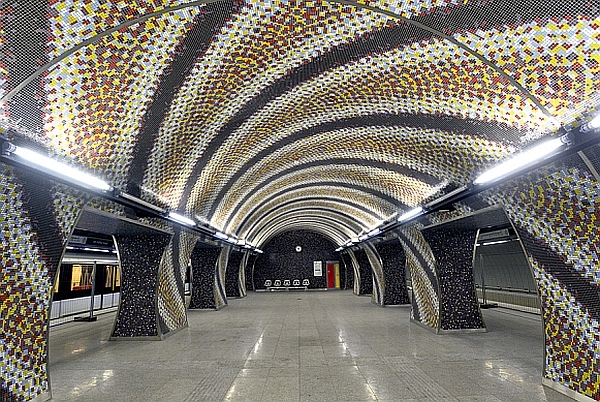 The line that runs between Keleti and Kelenföldi train stations will remain the capital's nemest metro line for a while, although plans for the M5 are already rumoured with construction planned to start before 2020. In 2011 the house voted on fedesigning the square around the Parliament building, and the new pubfic space was unveiled on 15 March 2014. The design is not exactly new, as the aim was to reconstruct the square’s pre-WWII atmosphere. There are now more open spaces and lawns - which sadly meant cutting down many trees, a sore point for a lot of people - the square is more minimalistic, airy and more pedestrian friendly. Asphalt has been replaced by decorative stone, there’s a new bicycle path, a pool and a 33m tall flagpole flying the Hungarian colours. 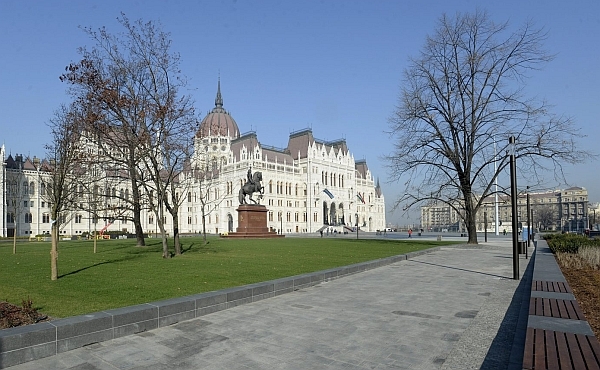 The statues correspond to the pre-1944 State and a new visitor centre welcomes tourists to the Parliament Museum. This group of buildings was one of the most neglected in Budapest for a long time. The decision to renovate the Bazaar was made in 2011, and construction started in 2013. Architect Miklós Ybl’s neo-Renaissance masterpiece was filled with shops when it opened in 1883, but it also housed the Historical Portrait Gallery and a women’s art school at some point. It was seriously damaged during World War II then it functioned as a youth park from 1961-1984, when it was finally closed down for being too dangerous. The listed buildings were finally reopened thirty years later on the 3rd of April, and the Renaissance garden and was unveiled on the 29th August. 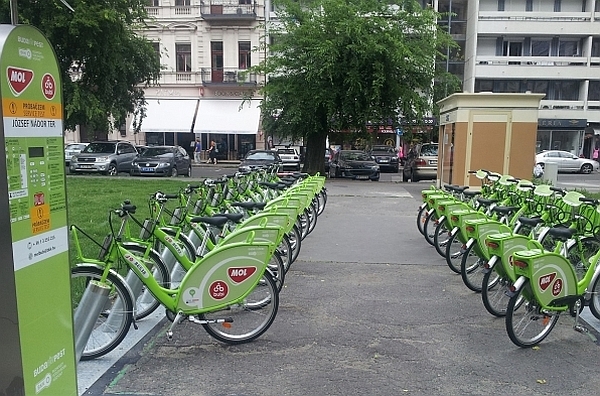 Budapest’s public bicycle system was launched on the 8th of September, following the example of London, Barcelona, New York and other large cities around the world. The municipal council made the decision to build the system in 2008: the deadline for the handover was missed again and again, but the results justified the long wait. In the first month following the launch over 120 thousand bikes were checked out, thousands bought passes at one of the 76 bike stations. Currently 1100 bicycles are available to locals and tourists, but more bikes and stations will be introduced in this spring, extending the network to reach the districts further from downtown.